“Aankho hi Ankho me ishara hogaya.. ” played a popular hit song by Mohd Rafi in the background as the artists stamped with wooden blocks on the fabric pinned to a work bench. They worked in rhythm with the beats in the song- Tak Tak Tak.. as they dipped the wooden blocks in a tray containing dye and stamped it onto the cloth. Unperturbed by our presence, their hands moved with great precision aligning the blocks to create repeating patterns on the cloth. 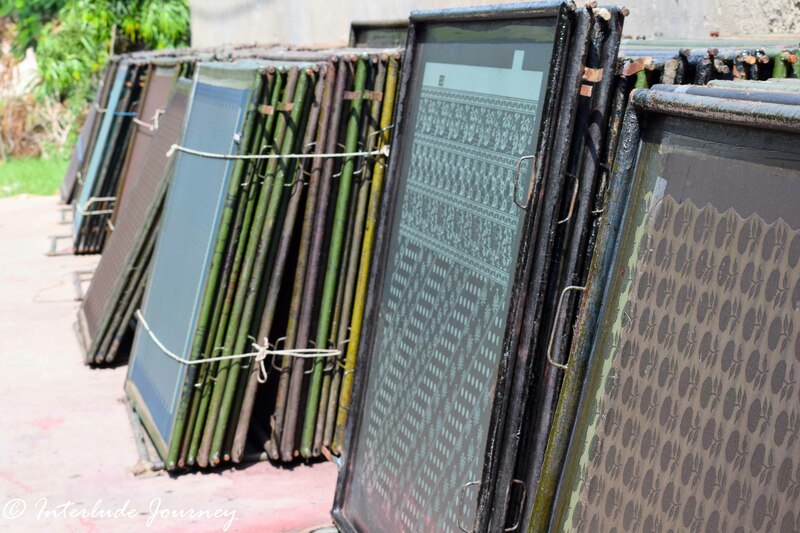 We were in one of the hand block printing factories in Sanganer near Jaipur to see the artisans at work. 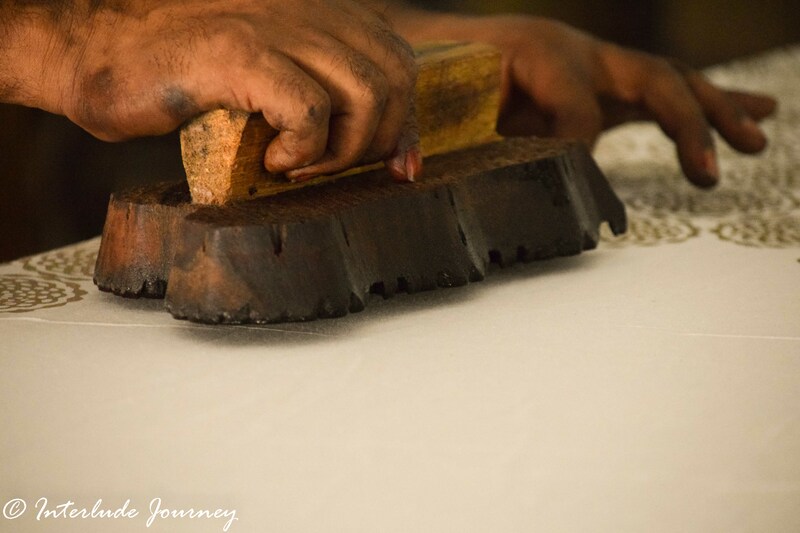 Hand Block printing is a traditional art form in India that uses carved blocks of wood which are dipped in bright colors and stamped onto cotton or silk fabric to create colorful textile. Hand Block printing is a traditional art form in India that uses carved blocks of wood which are dipped in bright colors and stamped onto cotton or silk fabric to create colorful textile. The Chhipa communities in Rajasthan who have settled in Bagru region near Jaipur traditionally use natural vegetable dyes for printing. The art is also practiced in Jaipur and Sanganer where artisans use chemical colors such as pigment colors and indigo sols for printing. The traditional block printing technique uses a different block for each color of the design. The final design is a combination of many smaller patterns and motifs- each having a different color. The printing process requires skill and time to stamp the repeating colors and patterns on the fabric- layer by layer, color by color. 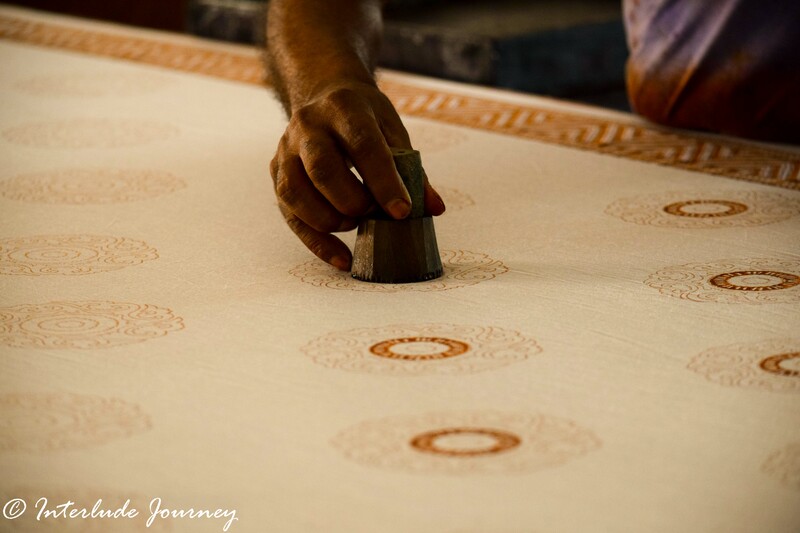 The slight irregularities that are a result of hand work create an artistic effect which is emblematic of block printing. 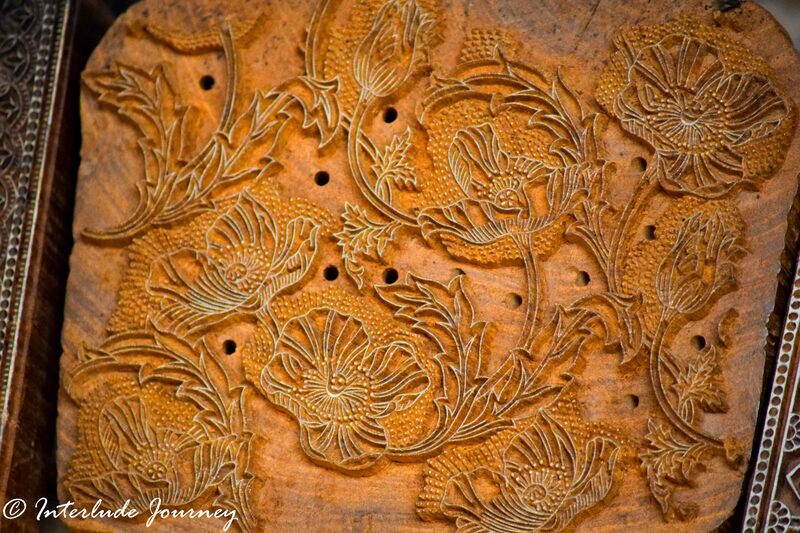 Carving the intricate designs on the wooden blocks is in itself a demanding job. Individual blocks used for the motifs are meticulously carved out of wood taking utmost care so that the superimposing designs align with each other seamlessly. The design sketches are first transferred onto the wood which is later carved by hand removing all the unwanted part of the wood so that the raised surface consists of only the required design. Carving a wooden block can take anywhere from a few hours to weeks or sometimes even months depending on the detail that is needed in the block. Anokhi Museum of Hand Block Printing in Jaipur has a huge collection of hand block printed textiles, blocks, tools and images. The Museum housed in a restored haveli in the alleys near the Amber fort in Jaipur provides the required exposure to the diminishing art of Hand Block Printing. The best part about the Museum apart from its extensive collection is the demonstration of wooden block carving and hand block printing. The artists employed in the museum demonstrate the carving and printing procedures with great enthusiasm. The mansion that houses the Anokhi Museum near Kheri gate of Amber Fort was previously called Chanwar Palkiwalonki Haveli. It is believed that it belonged to a man of intense military might and influence. However, After Raja Jai Singh moved his Court to the new walled city fo Jaipur, the ancient buildings surrounding the Amber fort got abandoned and fell into decay. 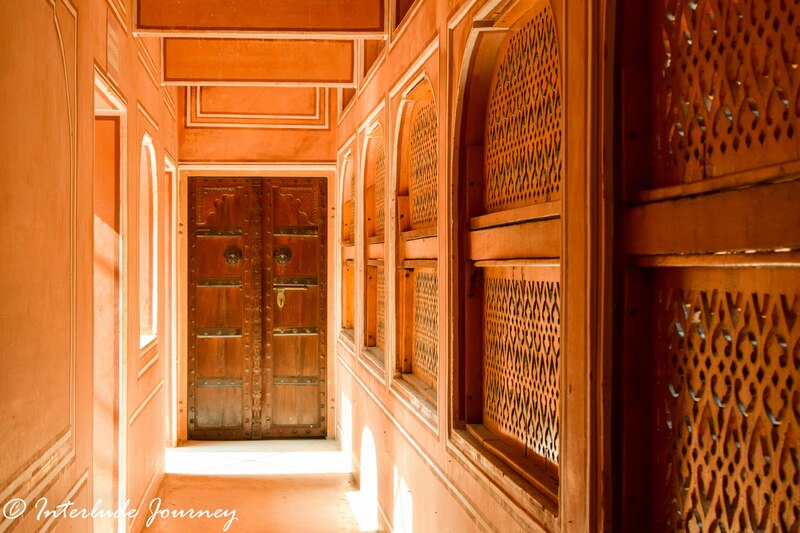 The empty haveli in ruins was bought by the founder of Anokhi museum who painstakingly restored it to its previous glory which took 4 years to complete. 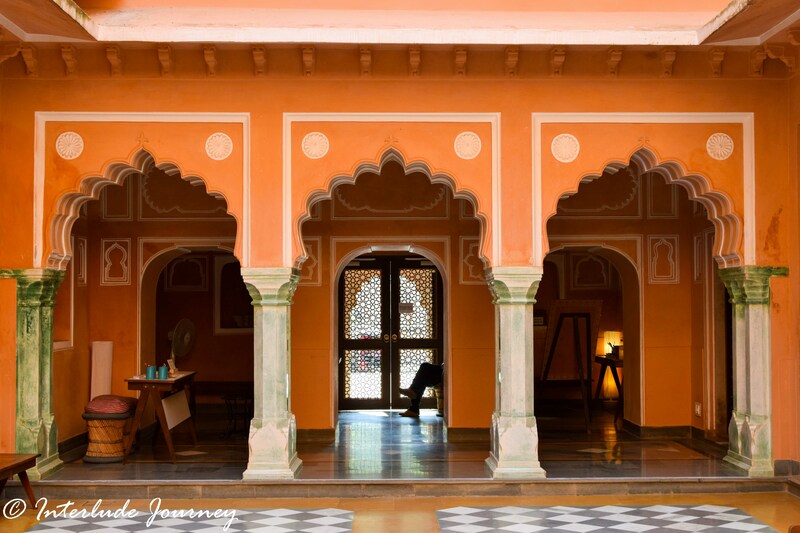 We were quite inspired to know that the architects used only traditional Indian building techniques and locally sourced material to restore the haveli. This traditional art is facing extreme challenges in keeping up with bulk manufacturing techniques such as screen printing which is less labor intensive. What takes a few weeks to beautify a piece of cloth with hand printing takes only a few hours for screen printing. Adding to this the scarcity of water which plays a major role in the textile industry has forced many artists out of Sanganer and Bagru which are considered the printing hubs in Rajasthan. 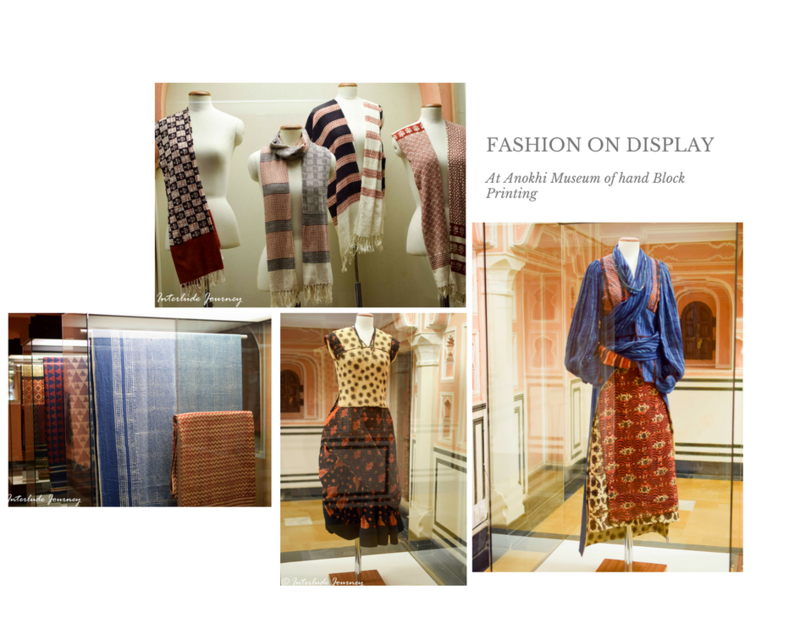 Visit the Anokhi Textile Museum in Jaipur to know about the traditional art of Block Printing. 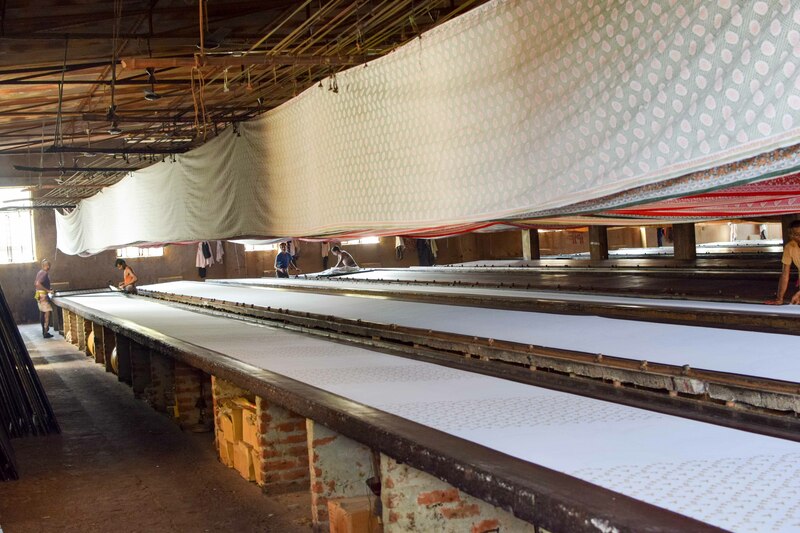 Visit the printing factories in Sanganer and Bagru and have a chat with the artisans. This will boost the morale of the workers who have continued to practice hand printing not yielding to pressure from bulk manufacturing techniques. 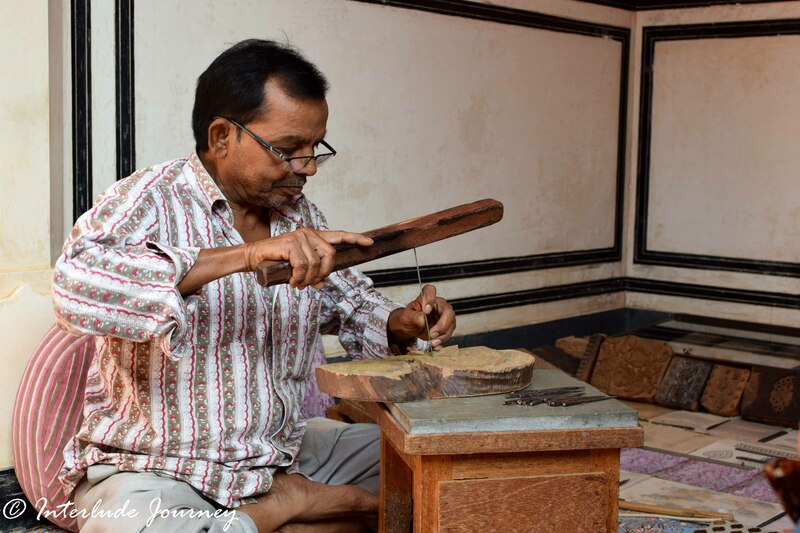 Purchase the local crafts directly from the artisans instead of purchasing from shops. Spread the word about this wonderful art so that it gets the required exposure. If you wish to read about some more traditional art forms of India, read about Patta Chitra Painting from the craft villages of Odisha. Good informational article. Loving it. Makes me want to order one for me. How cool….you did a good job to cover this piece of art. We really need to promote art like this. Wow, that is such beautiful art. It’s incredible how much time and detail is put into each individual creation. I wish more people knew about this when they go to visit India. Thank you for sharing! Those are amazing patterns. I can imagine the effort, energy, and concentration it takes to finish one of those. A real work of art. Thanks for sharing! What beautiful fabric. I am familiar with Madras, but not this. This would make an excellent souvenir. Will keep this in mind when I visit India. Oh how beautiful is this… I spent some time working in India years ago and I never knew anything about it. What a great souvenir idea is this. I am a big fan of handmade this and it is a shame that machines are taking away from this. Great post and I love the pictures. very interesting. 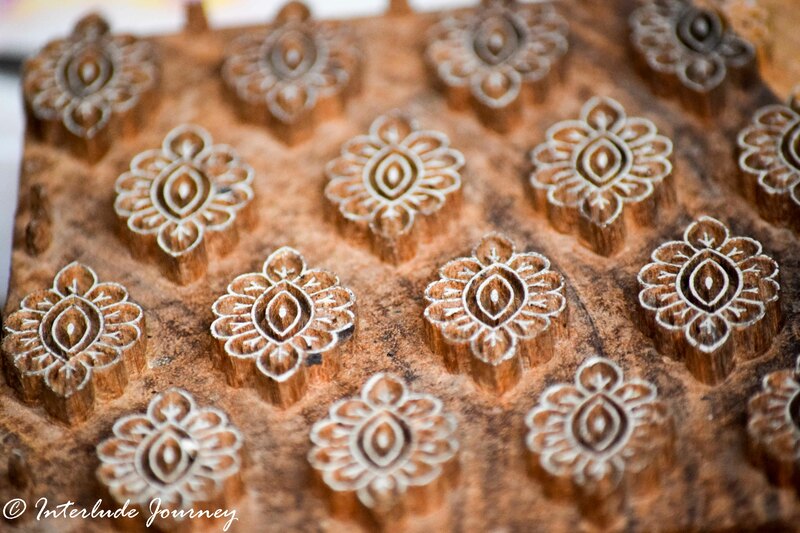 When I visited India a long time ago, I purchased a number of old wood blocks that had been used for printing. Some still show signs of colors. They are one of my favorite travel finds…and I’ve found a lot! Take care, and good luck here on LP!! Have any of your pieces been chosen by LP?